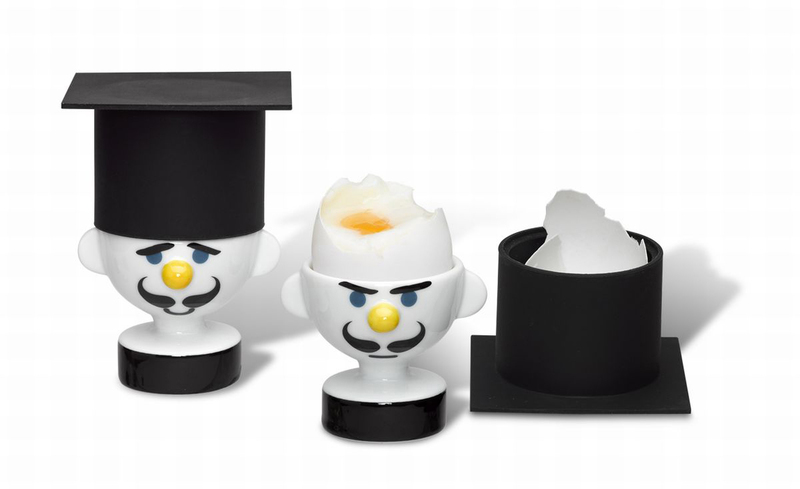 These egg cups will put a smile on your face, or maybe not, depending on which one you choose in the morning! 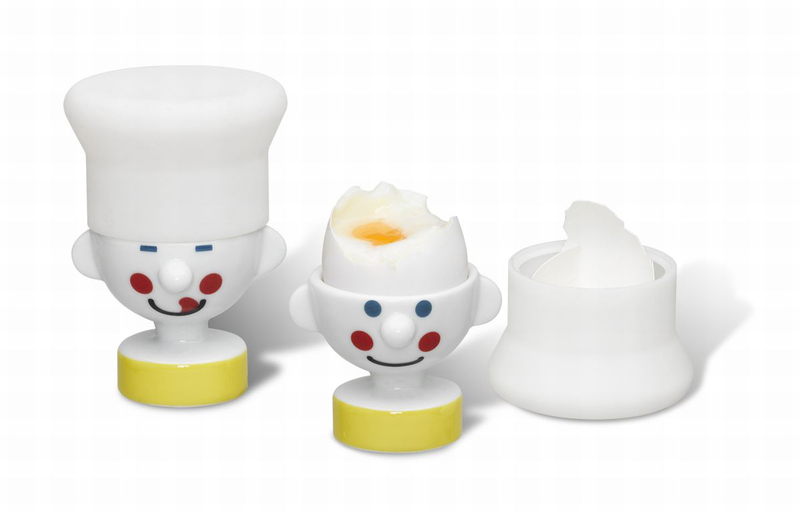 Will you choose the cute smiley chef egg holder, or the one enjoying his food? 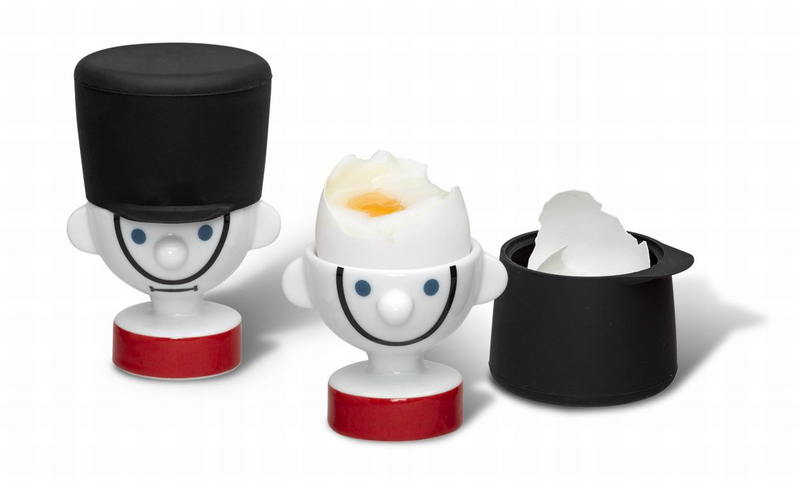 Made from white porcelain with natty black silicone hats, these are a fun and distinctive addition to your breakfast table. 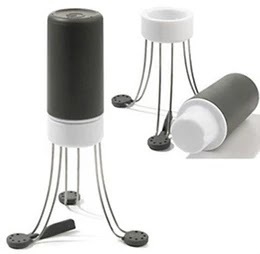 PO brings many unique, design led items to the home products with totally new dimensions. Designers at PO: are free from traditional constraints that limit creativity, and everyday items are crafted to be functional as well as sculptural. Every design has a whole array of unseen possibilities behind it. How about these cute pair of Guards? 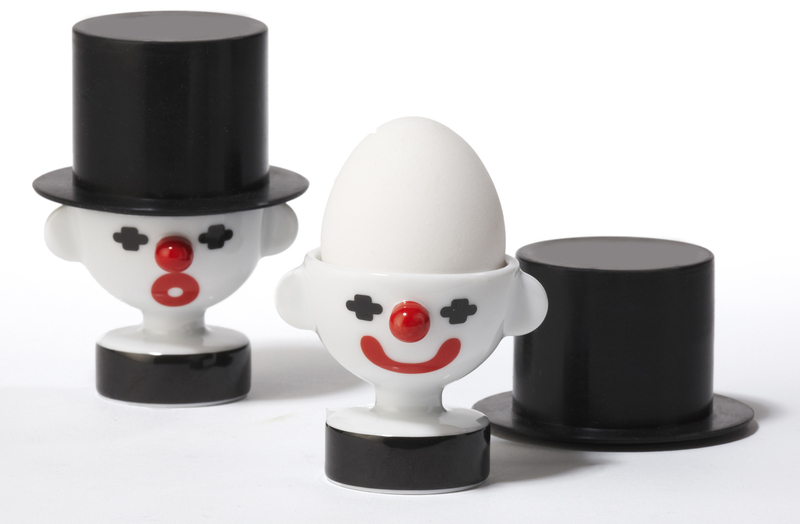 Or a pair of Clowns! Or even a pair of Professors? Available from TopGourmet, independent cook-shops and Amazon.